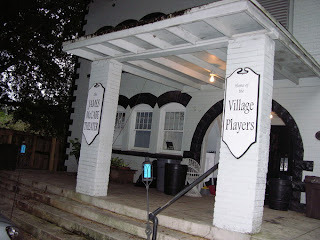 Built in 1915, The James McCabe Theater is located in the booming town of Valrico, Florida. The Valrico Improvement Association raised $3,500 to build a structure for the group and as a focal point for the community and named it the Valrico Civic Center. By like the 1950s, it was home to a Woman's Club and in the late 1970s, Hillsborough County repossessed the building. The Village Players obtained permission to use the structure for theatrical productions until 1994 when the property was deeded to them. It achieved historical landmark status and received a name change. James McCabe was one of The Village Players founds as well as their former president. After he suddenly passed away, the building became known as The James McCabe Theater. For the past few years, the theater has been experiencing continuous renovations. They rely on donations from generous people to keep this project going. This theater may be the only commercial property from Valrico's golden days but it's also believed to be haunted. Witnesses have heard the sound of keys or coins jingling, having their named called by an unknown source, a little girl singing, footsteps, humming and laughter. There are reports of a male entity roaming the building but also evidence of residual activity.